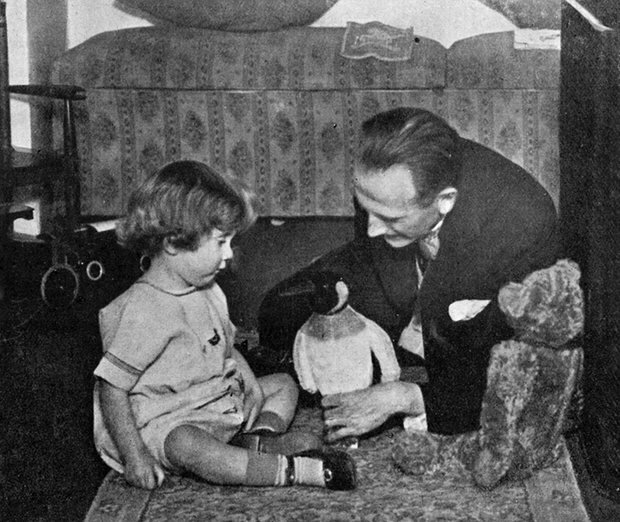 The new character was born from a photo of A.A. Milne and his son Christopher Milne playing with a penguin toy along with the bear that would become Winnie the Pooh. 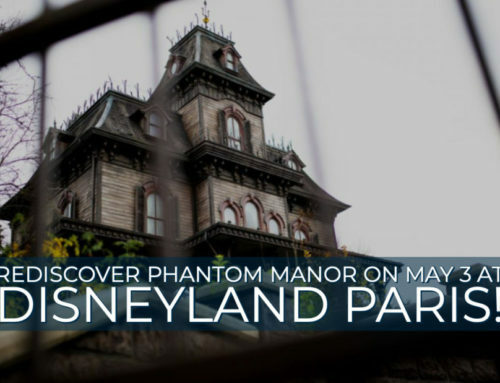 This photo inspired author Author Brian Sibley to add the character in the new story. 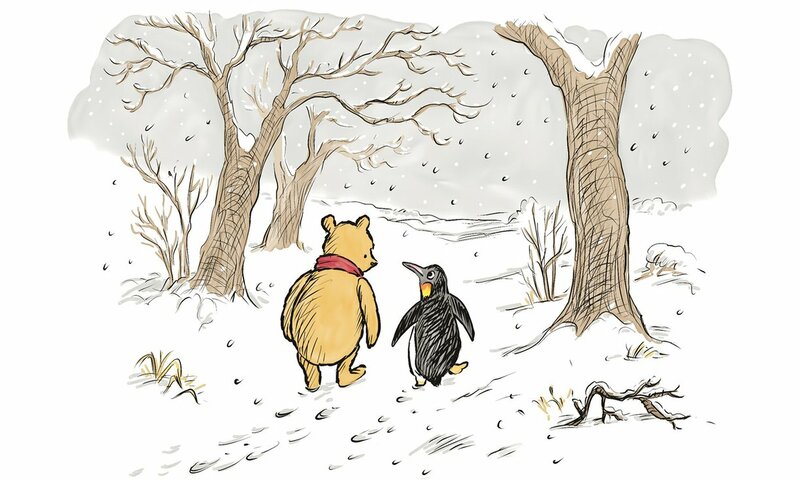 “The thought of Pooh encountering a penguin seemed no more outlandish than his meeting a kangaroo and a tiger in a Sussex wood, so I started thinking about what might have happened if, on a rather snowy day, Penguin had found his way to Pooh Corner,” said Sibley. It is possible that the penguin was a toy purchased by Christopher’s mother Daphne at Harrods. 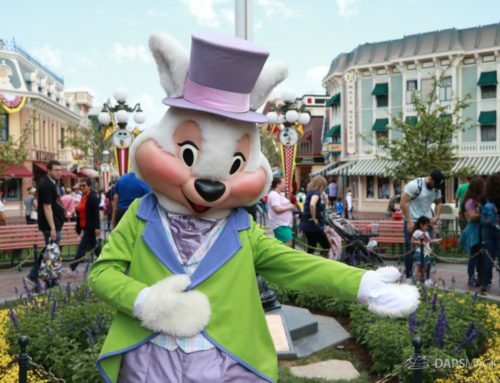 According to Harrods archivist Sebastian Wormell, “Harrods is famous as the original home of Winnie-the-Pooh, but the Toy Department where Mrs Milne bought the iconic bear hosted a huge array of stuffed animals,” he said. “In the early years of the 20th century, toy penguins soared in popularity as the exploits of Antarctic explorers such as Shackleton and Scott fascinated the public. We believe that the toy pictured could be ‘Squeak’, which originated in our 1922 catalogue and came from Pip, Squeak and Wilfred, a popular cartoon-strip. It’s exciting to think a new Harrods toy could be joining Winnie-the-Pooh’s gang after all this time.” Many of Christopher Milne’s toys (Winnie, Eeyore, Kanga, Roo and Tigger) were purchased at Harrods so there is a distinct possibility that this theory is true. Sibley is one of four authors contributing to The Best Bear in All the World. 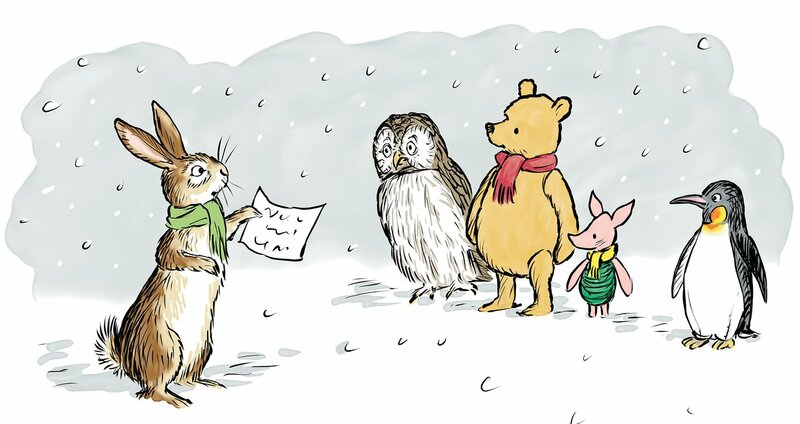 “Milne’s effortless writing, especially in the Pooh books, at first seems highly imitable – until, that is, you attempt the imitation,” Sibley said. “The stories may be light on plot: small, child-sized incidents involving mishaps and misunderstandings and experiences with that constant feature of country life – the weather. The Best Bear in All the World will be available in the United States on October 25, 2016. This sequel celebrates the 90th anniversary of Winnie the Pooh and the stories are written by Jeanne Willis, Kate Saunders, Brian Sibley, and Paul Bright. The illustrations are by Mark Burgess in the style of Ernest H. Shepard.